We all know that winning is a good thing. It can be a cash prize or a trip to a dream destination. However, there are people who fall victim to scams that are based on fake prizes and sweepstakes. And day after day, these scammers stop at nothing to make sure that their next victim gives them as much money as possible before moving on to the next one. It’s important to know what kind of scams related to this that exist and what you need to do in the event if you are targeted as a potential victim. Here’s the untold truth!! This is a type of scam that has begun by way of telephone. It’s hard to trace back when these exactly started. However, because of technological advances, now scammers are using other mediums to employ their dirty deeds. Of course, the Internet is another way for scammers to reach out to potential victims. As the Internet rose to fame, scammers began to pick up on how they would contact their victims. So, they would find ways to extract a person’s email address and send them a spammy email telling them that they won some kind of prize. Scammers will reach out to you either via telephone or email. However, some scammers will often employ methods where you can be sent a text message saying that you won a grand prize or some prize associated with a kind of sweepstakes. Other than just good old fashioned email, even scammers are utilizing social media as a way to broadly reach out to anyone who may be gullible enough to “claim their prize”. 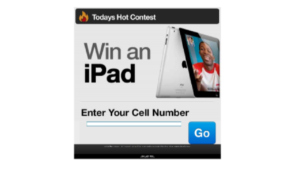 For the sake of this article, let’s use the situation where someone is being emailed about winning a prize. How it works is the scammer will send out an email telling their intended target that they won. And in order to claim the prize, you have to pay money upfront for “processing fees” or whatever variation it may be. Scammers will fabricate some kind of fee in order to extract as much money from you as possible. The scammers will often use free email accounts to employ their tricks and tactics on you. When you do receive an email, you’ll notice how they are often inconsistent with grammar and spelling. At the same time, you’ll also notice that there are other inconsistencies. For example, if you are a citizen living in the United Kingdom, you’ll get an email about a prize you won from some sweepstakes based in another country (Example: South Africa). And the prize value is in United States dollars. Most people will not know or understand what kind of currency a country uses. In this example, the country of South Africa has their official currency known as the Rand. They do not use US Dollars as their official currency. While the thought process of winning something is one of “I can’t believe this is happening. This is awesome” is exhilarating, there’s something else that you need to know: this is exactly what the scammers want you to feel. Targets like older people and even more vulnerable people may fall victim to these types of scams because of their lack of awareness. This is a no-brainer. Everyone knows that a sweepstakes can be won legally if you initiate the application process. So, you enter your name, address, and phone number. That’s it. Since this is a game of chance, you will either get picked as the winner or you don’t. But entering in them can be fun and exciting if you decide to do it the right way. There is no such thing as winning a sweepstakes that you have never entered any information for. 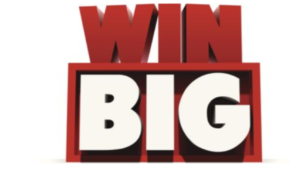 Legitimate sweepstakes do not charge any upfront fees that need to be paid before the winner claims a prize. Yes, you do have to pay taxes on your winnings. However, those are paid to the IRS along with your regular tax returns. If anyone asks you that you need to pay taxes and fees upfront, you know that you’re dealing with a scammer. Buying Something Doesn’t Improve Your Chances Of Winning! OK, so it might be true in one aspect. If you somehow buy like…a million lottery tickets. That’s because the odds of winning the jackpot are millions to one. However, you cannot under any circumstances be able to buy something to improve your chances of winning. If you’re asked to buy something as part of the “contest”, you’re dealing with a scam. Period. 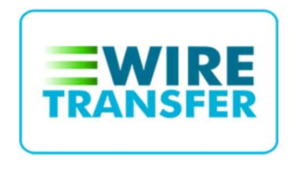 One of the tried and true signs of a scammer is when they ask you to wire them money. Other times, they will ask for your credit card or bank account information. Regardless, no legitimate sweepstakes will ever ask you for this information. If you happen to see this in an email, that’s a red flag. Nothing screams “scam” like a fake check in the mail. Not to mention, cashing fraudulent checks themselves can also get you in deep trouble as well. 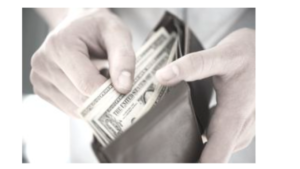 One thing to note is if you have a cash prize of $600 or over, you’ll need to fill out an affidavit proving that you are the real person before the cash prize is sent out. As for the phony checks themselves, know how to distinguish a good check from a bad check. In order to protect yourself from a scam, it can be as simple as ignoring the email and never responding to it. Never under any circumstances give your personal information over the phone or via the Internet. This includes bank account information, credit or debit card information, social security numbers, or anything that is tied to your finances or identity. It is important to make people who may be likely to fall victim to these scams aware of something like this. Be sure to clearly instruct them on what to do and what not to do. It should be noted that they should know the difference between how a real contest or sweepstakes operates and how a fake one operates as well. Scams will continue for as long as they can. It is important for you to stay a step ahead and know what they are and how they operate. Always use protective measures. In the event if you do fall victim to a scam, you should report it to your local police department and file a report. If your bank account or credit card account has been compromise, contact them immediately and they’ll fix the issue in the best ways possible. Always remember, you cannot win a prize or sweepstakes if you’ve never signed up for it. Now you know the untold truth! Do you have any experience with Fake Prize, or Sweepstakes scams? 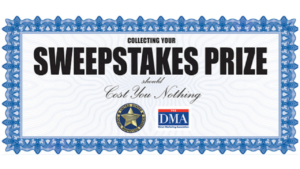 Have you been involved in a Fake Prize or Sweepstakes scam before? Do you have any questions concerning my scam review? If you do, please leave your comments or questions below, and I will be more than happy to get back to you. Thanks again for checking out my post, and good luck with your success online..